I emailed Rancho about their lift kit for my Durango and this was the reponse I got. Does anyone know of any other mild lift kits that can handle off road stuff like Jeep trails, old logging roads, ect? I don't want a for show only lift kit and I don't want anything too radical, just a 2-3 more inches of ground clearance. I could swear reading past posts that this kit bolted on with no problems but am not sure they were on 2003 models or not. I find it interesting that the spindle size was changed on the 2003 model? 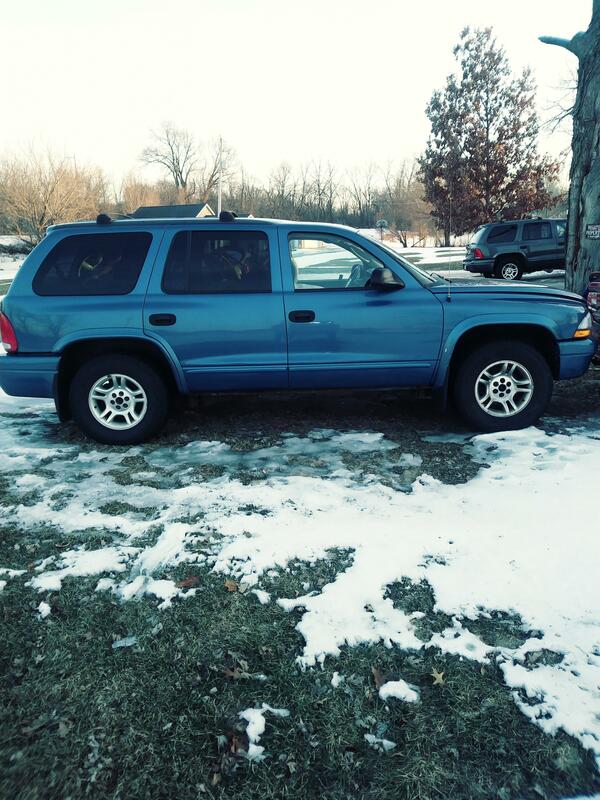 Comments: I'm interested in buying a lift kit for my 2003 4x4 SLT Durango. Part No. RS6561 is only listed as applying to 2000-2002 models. Will this same kit fit on the 2003 as well? I'm also interested in increasing the tire size slightly. Stock tires are 265/75-16 and I wish to go with a 285/75-16. Will a tire of this size work with the above lift kit? Thank you for your interest in Rancho suspension products. The 2000-02 Durango kit RS6561 wouldn't work on the 2003 Dodge Durango. The 2003 Dodge Durango uses different spindles. We don't offer a lift for the 2003-newer Dodge Durango. The problem with the D and larger tires is mostly the width. Tires equivalent to 11.5 and larger diameter will rub the frame on turns on the front end and will rub the rear wheel well insides on full articulation of the rear axle. You could check with a tire shop about a different offset rim for the wider tires. You can run a 32" tire without too much trouble in the front. Any larger and you might have to trim some of the front bumper at the wheel well openings. You still might have a problem with frame rubbing. Of course if you put on a Hanson bumper, you wouldn't have any trouble with wheel well opening clearance for larger diameter tires. The torsion bar/shackle lift, or torsion bar/add-a-leaf kit might be the way to go. With the add-a-leaf kits you get a full 2" lift in the back and you get about that in the front by tightening the torsion bar adjusters. This lift is also much cheaper and easier to do than a full lift kit. Hope that this helps. The problem was there was no market demand for a lift kit of any sort. Why? For some reason D owners were too cheap to want them, I guess. At one point everybody made lift kits for the gen 1 D. Yes, there was a majorly bad 10" lift kit out there. But there were tons of 3" kits and nobody, I repeat, nobody bought them. Ferd and Chebbie guys bought lift kits by the ton, so they are still available. The only choice left is either a torsion bar/shackle lift, or a body lift. If you want any thing bigger than a 31" tire and no fitment issues, get a custom front bumper and do one of those lifts. I know, some guys did get 32" tires to work, but I don't think they ran off road much with them. You'll be surprised at how nimble the D is with the torsion bar/shackle lift and a set of good off road 31's. I have an 03 rango as well and I keep reading that the lift kits won't work on 03 because of spindles. I also have 02 rango for donor, what if I switch out spindles on the 03 with the ones on the 02. Will the lift kit work then anyone know? I don't think that the discs will fit from the 03. I think the discs from the 02 are smaller. Well sounds like I'll have to go with body lift and a set of rear 2" lift shackles. Thanks for your advice. I can't wait to get this beast back on the road!!!! How big a tire do you want to run? I can tell you that with 31X10.50"s and the torsion bar/shackle lift I go places that Jeep driver's cheer me for. I ran all of the Black Diamond trails in CA and didn't have any problems. Yes, a spotter would have to move a few rocks at times, but all in all quite a formidable rig. The front axle housing on the 02/03 is less rigid than the 98/99 axle and tends to crack with tires bigger than 31" when driven aggressively, so be careful. lift kits for 03 4x4? ?